Today we will break down all of the similarities and differences between the Roomba 650 and 870. Both of these robot vacuums do an excellent job at passive floor cleaning. However, not all robotic vacuum cleaners are created equal. iRobot has made significant improvements in their technology over the years and it certainly shows in the 870. Some of these advancements over the 650 include new optical sensors, extractors, and battery. Below are some of the most notable similarities and differences in the iRobot Roomba 650 vs 870 models. The Roomba 650 and 870 models both have 7 day scheduling capability. The user simply inputs the days and times they want the Roomba to clean and it will do so on a daily basis. Alternatively, the user can press the Clean button on the top of the unit to initiate a manual cleaning session. 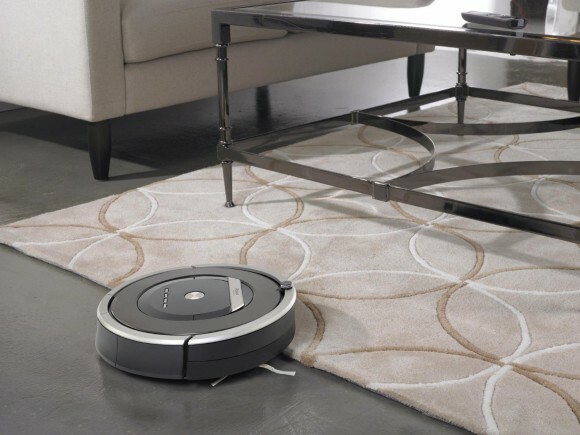 Both of these Roombas can deal with virtually any flooring surface found in your home. These surfaces include rugs, laminate, tile, carpet, hardwood, and many more. 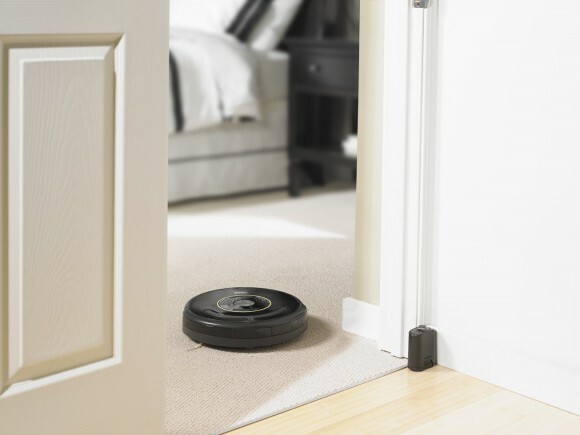 When going between flooring surfaces, these Roombas will automatically adjust to account for the change. 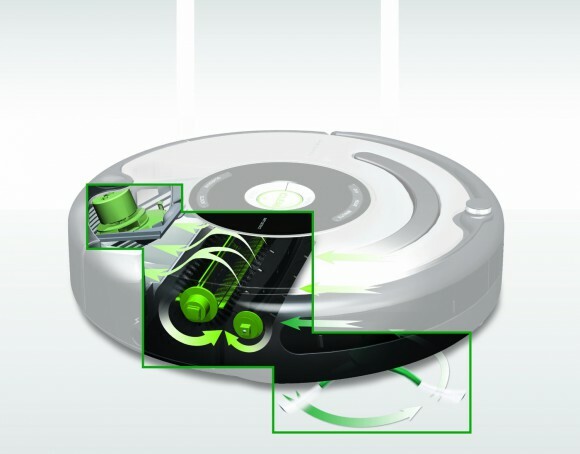 A 3-stage cleaning system is employed with both of these Roomba vacuum cleaners. These stages consist of agitation, brushing, and suctioning of debris from the floor. 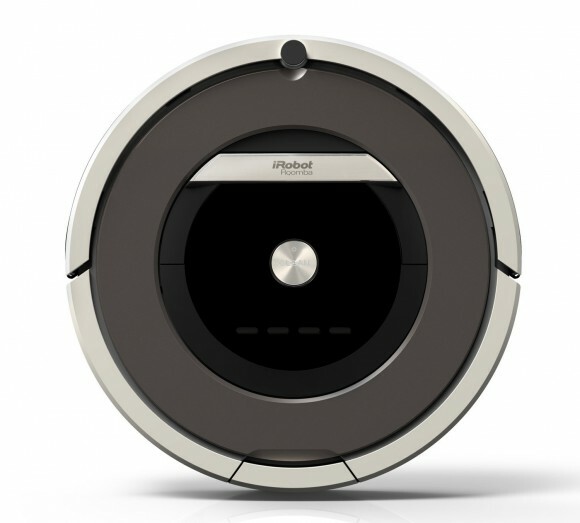 Because of its circular design, it’s difficult for these robotic vacuum cleaners to get into areas such as corners. As a result, iRobot has included a spinning side brush that extends from beneath these units to get into hard to reach areas. 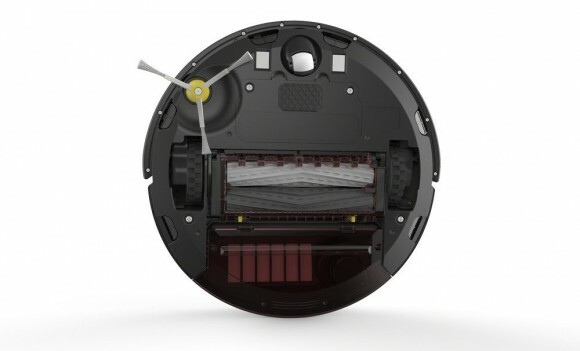 Acoustic sensors are integrated into these Roomba vacuums to find areas that are dirtier than others. This allows the Roombas to spend more time where it is necessary opposed to spending an equal amount of time on both clean and dirty areas. 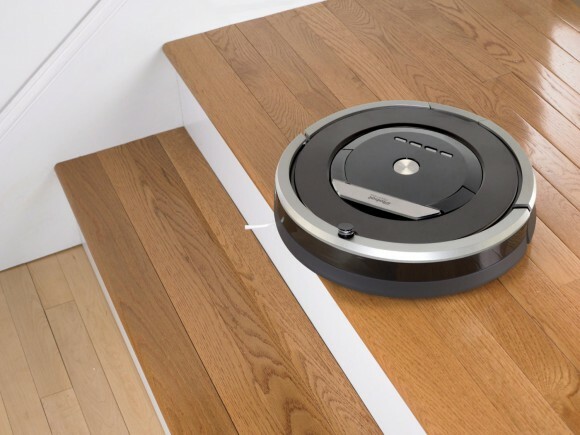 These robotic vacuum cleaners are able to get into areas that aren’t frequently vacuumed like under furniture. Their slim profile allows them to get beneath practically any object in your home where dust can accumulate. The navigation system on these Roombas, referred to as the iAdapt Navigation System, allow them to seamlessly move around objects on your living areas. Sensors on these robotic vacuum cleaners communicate to the Roombas when they are by a staircase or ledge. They will subsequently recognize this and head in the other direction. The included infrared virtual wall sensors act as artificial barriers to keep the Roombas out of rooms you don’t want vacuumed. Lastly, both of these Roomba vacuums can recognize when they are low on battery and will return to their charging stations to fill their batteries. If they ran out prior to finishing their cleaning, they will resume upon recharging. The Roomba 870 receives a new second generation motor. iRobot states that this new motor produces 5 times the power and 50% more cleaning performance compared to the motor found in the Roomba 650. Another major upgrade is the addition of optical sensors in the 870. These new sensors work together with the acoustic sensors to hone in on dirtier areas on your floors. This greatly increases the 870’s ability to find the areas that need the most attention. The standard brush extractors found in the Roomba 650 have been replaced with rubberized extractors in the Roomba 870. These new extractors do a significantly better job at removing dirt and debris from your floors. They also don’t need as much intervention for things like tangled hair. That was a major complaint among Roomba 650 and 770 owners. Lastly, a new lithium ion battery in the 870 replaces the nickel-metal hydride battery found in the 650. This new battery has about the same battery life as the old one but can now withstand double the amount of charging cycles before requiring replacement. 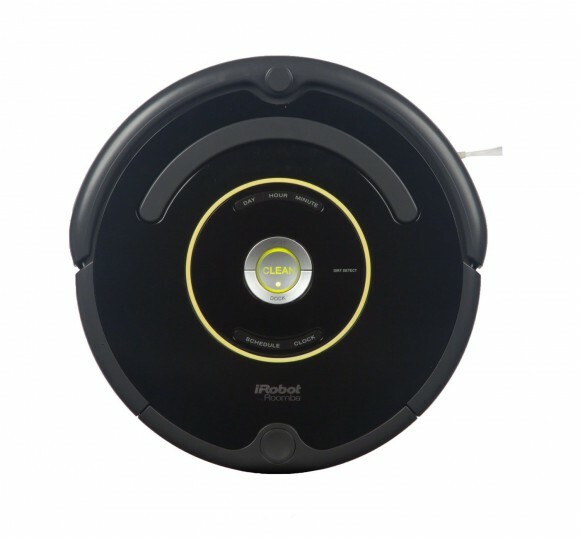 iRobot has received tons of positive reviews for their Roomba 650 and 870 models. The vast majority of people have nothing but great things to say about them. They don’t miss manually vacuuming their homes for one minute and wonder how they’ve lived for so long without owning one. People enjoy the relatively quiet operating volume these units work at and how they are safe to use around their family pets. Those who have owned the 870 along with a prior model state that there’s no competition between them. They say that the 870 is able to lift more than double the amount of debris from their floors and does a considerably better job with carpeted areas. Maintaining these Roomba vacuums is very simple. Owners state that it takes a relatively short amount of time to empty the collection bin and replace the filter when necessary. Overall, people really enjoy owning both of these Roomba vacuums and the vacuuming freedom it affords them. These Roomba vacuum cleaners are some of the best on the robot vacuum market. They will roam your homes in search of dirt on your floors so that you don’t have to any longer. Our expectations from iRobot have been awfully high from their inception and they never seem to disappoint. The Roomba 650 and 870 models are certainly evidence of the quality we’ve grown accustomed to from this company. 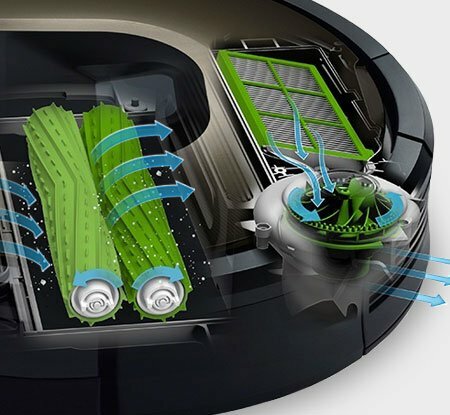 With that being said, the Roomba 870 is far better than the 650 for a multitude of factors ranging from its new motor to the updated sensors, extractors, and battery. 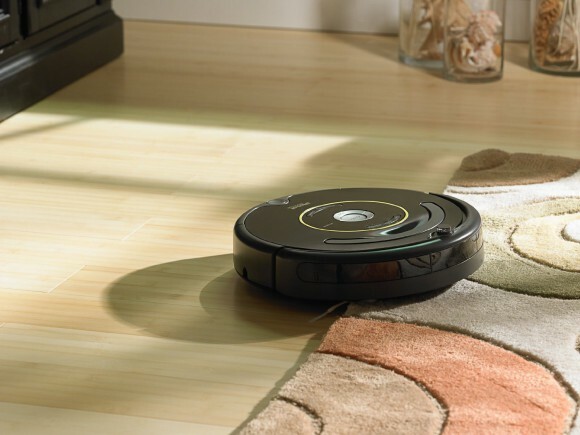 When it comes to the iRobot Roomba 650 vs 870 models, the 870 takes the cake hands down. If you can afford the higher price of the 870, we highly recommend purchasing that model. Excellent comparison! The new lithium ion battery versus nickel metal likely means that the newer model could be a bit lighter in its overall weight as well? Weight of course is one of those attributes that contributes directly into energy consumption. Talking about energy consumption, new model has more powerful engine.. is it built to be more economical than the older one, or should we expect our electricity bills go up a little bit? Well, we know everything needs maintenance once in a while, like our rooms that need cleaning.. So I’m wondering how often do these little things break down? Eventually everything will & it’s completely normal, it’s only question of when not if. How complicated it usually can be to repair one of these fellows? We know that vendors want to maximize their chances of selling products & not just one product & not only once.. & clients want as durable & as effective product as they can get their hands on – Ideally, both folks are meeting up somewhere in the middle of the road. So, quality & durability are interesting topics here. Amazing next gen devices nevertheless, thanks for posting! Believe it or not, the 870 is about a half pound heavier than the 650 despite its lighter battery. This is mostly attributable to the half inch increase in diameter and the additional technology within the 870. I wouldn’t expect there to be any noticeable difference in your electric bill. They will occasionally get tripped up on a power cord but the 870 is far less susceptible to this than the 650. Tangled hair was a big issue with the 650 because of its brush extractors. However, the 870 has seemed to get this right with its new rubberized extractors. These need much less manual intervention but do need occasional intervention nonetheless. 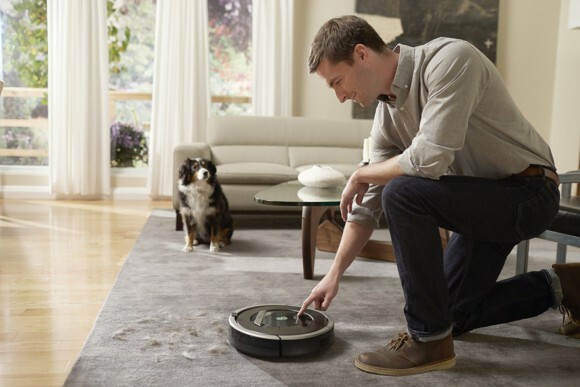 Best of luck with your vacuum robot purchasing decision! God, I want a Roomba so bad. I’ve wanted one for years (Since watching Breaking Bad, when Jesse has one in his house) but price has always placed them just out of my reach. This article just makes me want one even more! I’m getting really sick of sweeping and vaccuuming all the time. If I may ask, do you know if there’s any Roombas or Roomba-like devices that mop your floor for you too? That would be fantastic. Funny you mention that because iRobot has recently released the Braava 380t Floor Mopping Robot which has been getting spectacular reviews. People seem to love this for tile and hardwood floors. Check it out! I honestly forgot these roomba vacuums existed, I remember when they first came out! It’s amazing to see it’s still around, and it evolved quite a bit. 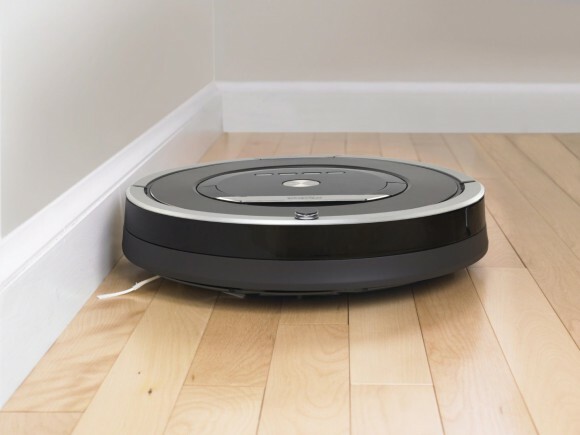 I don’t think I can really afford the 870 roomba, do you think the 650 will do a good enough job or should I wait? Lots of information on small appliances on your site, people should know about the products they buy, before they buy it, and honest reviews help with that a lot. Quite honestly, the Roomba 650 will do a great job in your home but I’d recommend holding off until you can get the 870. It is a vastly superior vacuum that should last you a very long time. In the longrun, you’ll be much better off with the 870. Best of luck!